Facebook has chosen Odense in Denmark as the site of its third data center outside the U.S.
Denmark's moderate climate will allow the company to use outdoor air and indirect evaporative cooling to keep temperatures in the data center down, and servers will be powered entirely with renewable energy, the company said Thursday. Most of Denmark's renewable energy comes from wind power, a highly variable resource. On one day in 2015, it was able to satisfy the nation's entire electricity demand with wind power, and also become a net exporter of electricity. At other times, around a quarter of the country's electricity demand is met by wind power, according to the latest figures from Eurostat, the European Union's statistical agency. 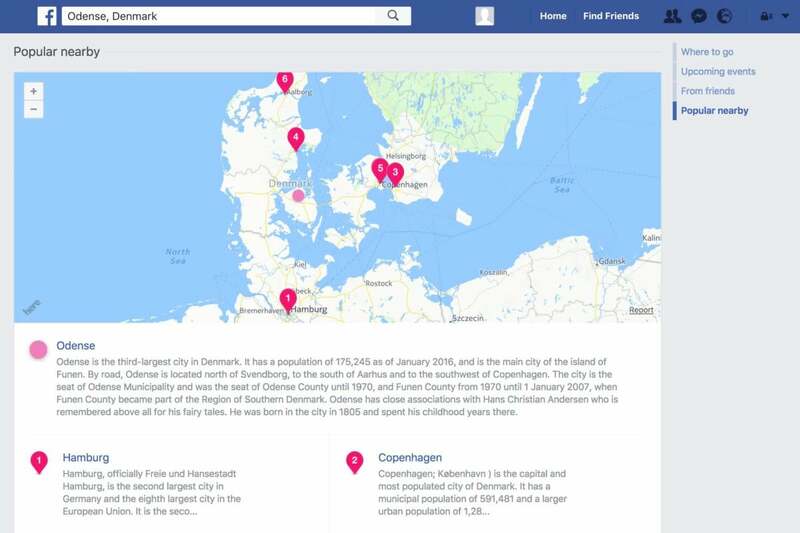 Other factors attracting Facebook to Odense, Denmark's third-largest city, included access to the internet backbone and a local talent pool for building and operating the data center, according to a blog post from Niall McEntegart, the company's director for data center operations outside the Americas. Ultimately, Facebook expects to employ over 100 in operations at the site. Facebook's existing European data centers are in Clonee in Ireland and Luleå in Sweden, on the edge of the Arctic Circle. Thanks to the free air cooling, over the last year the Luleå site has achieved a power usage effectiveness -- the ratio of total power consumed to power devoted to computing tasks -- of just 1.09. Denmark's renewable energy also caught Apple's eye back in 2015, when it was planning its European data center expansion. It chose a site near Viborg, about three hours' drive from Odense, for its facility, which is expected to open this year.